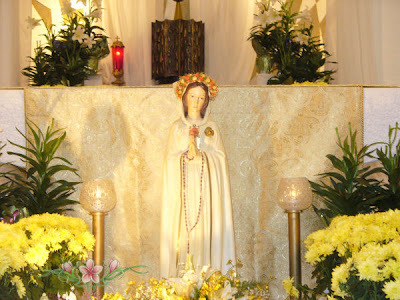 (Merrimack, New Hampshire)— Throughout his pontificate, Pope Benedict XVI has called on the faithful to utilize the new media to serve the Church and spread the Gospel. Technological advances continue to open new means of communication, and it is often difficult for those engaged in the world of digital communications to stay ahead of the curve. In response to the Holy Father’s call, the Thomas More College of Liberal Arts announced today that it is hosting an intensive three-day retreat entitled “Christ & The New Media” for those seeking to spread the perennial truths of the Catholic Church through the new media. The Program will be held from August 4 thru 7. Led by leaders in online journalism, blogging, and digital communications, this program will assist priests and laymen in employing the latest generation of images, videos, animated features, blogs and websites so they can open up broad new vistas for dialogue, evangelization, and catechesis. Funded by a grant from the Koch Foundation of Gainesville, Florida, the Workshop will be beneficial to both beginners and seasoned professionals as they are taught how to craft their message more effectively, respond productively to those with whom they disagree, fully leverage social networking sites, and more effectively integrate the latest in audio, visual, and text. Moreover, participants will develop life-long friendships with others who are seeking to defend and promote the teachings of the Catholic Church in our age. The Program will feature lectures and panel discussions by Alejandro Bermudez, editor of the Catholic News Agency; Phil Lawler, Editor of CatholicCulture.org; Tony Assaf, Editor of the Arabic Edition of Zenit News; and John and Ashley Noronha, of H2oNews.org. The new media offers a new and deeper means of communicating the perennial truths of the Catholic Church, especially to young people. More than 350 million people read at least one blog every day, and more than 60% of those readers are between the ages of 18 and 44. In fact, according to one recent study, 77% of active Internet users regularly read blogs, and as many are active in social networking sites. “There exists a tremendous—and largely untapped—opportunity to spread the Gospel through the world of digital communications,” added Fahey. “By attending the Christ & the New Media Program, priests and laymen alike will be better able to employ the latest technology to advance the Church’s mission of evangelization and catechesis. More information and a schedule for the Christ & The New Media workshop can be found at http://www.thomasmorecollege.edu/summerprogram. The Thomas More College of Liberal Arts provides a four-year undergraduate education which develops young people intellectually, ethically, and spiritually in the Catholic tradition and in faithfulness to the Magisterium of the Roman Catholic Church. Thomas More College introduces its students to the central questions of Western Civilization—and to the Church’s response. It teaches students how to reason, engage in academic discourse, and to write. Students from Thomas More College are shaped into becoming faithful leaders who will be able to pursue the individual vocations which God has given each of them. 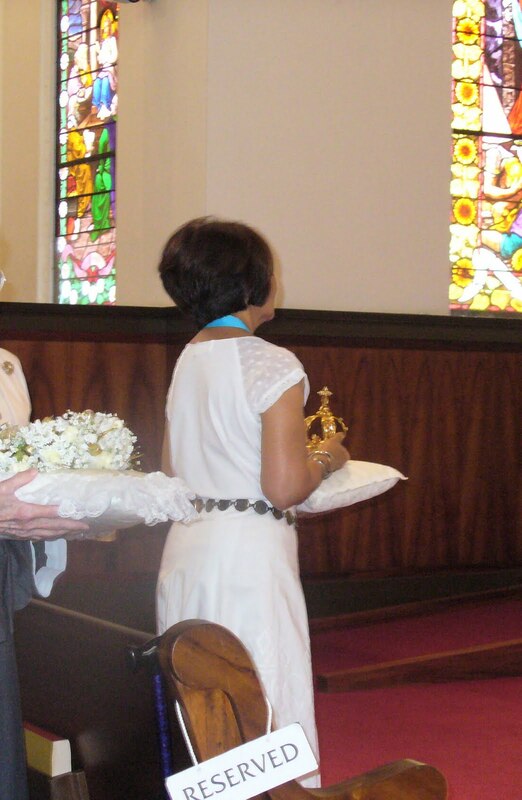 A big mahalo to the Legion of Mary at Sacred Heart Church, for another beautiful May Crowning. It started with a solo Marian hymn by our very talented parochial vicar. We then had a procession with candles, flowers, banner and the crowns Two very special members of our parish community crowned our Lady. 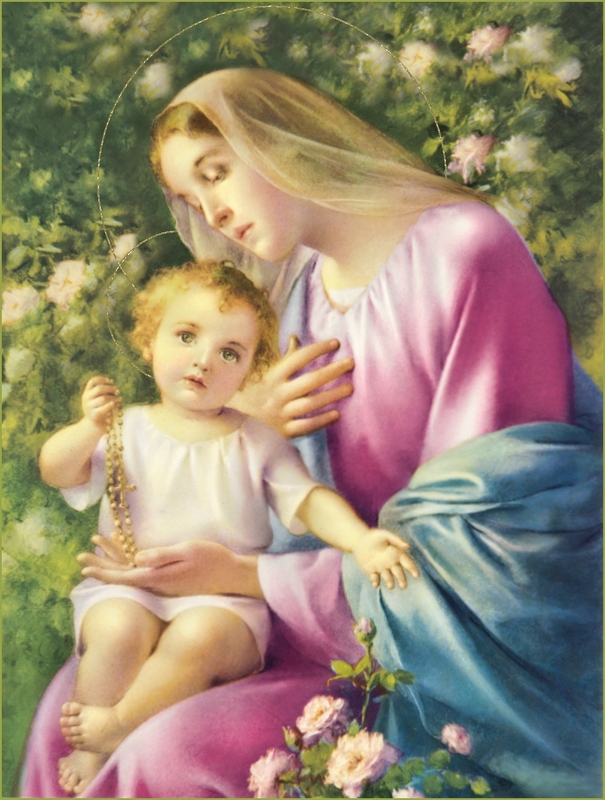 We prayed the Rosary in English, Korean, and Chuukese. We sang beautiful Marian Hymns and it ended with our consecrating ourselves to Mary. What a wonderful way to honor our blessed Mother during the month dedicated to her and for Mother's Day. Both our priests were present. Procession with the Legion of Mary banner leading the way. He followed the noble fragrance until he came to the beautiful rose...For the Son of the Most High saw this lovely, tender, fragrant rose blooming among the thorns of the sinful world and the sweet fragrance of her earnest desire wafted up to him unceasingly. He was caught by her eager love and so enraptured that he leapt from his father's lap down to this rose among thorns and was so sorely pierced that his hands and feet bled. you were born to comfort me. help me that I shall not be lost. took away from us all our sins. 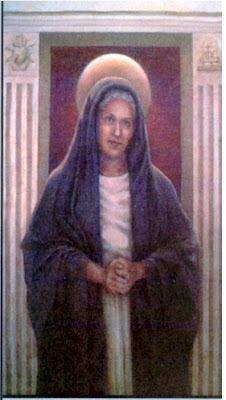 I greet you, Mary, my Lady. that I have recited for you today. 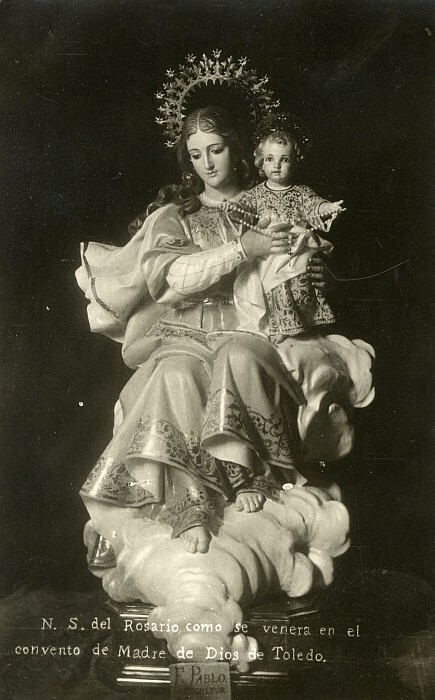 God's daughter, Christ's wet nurse. 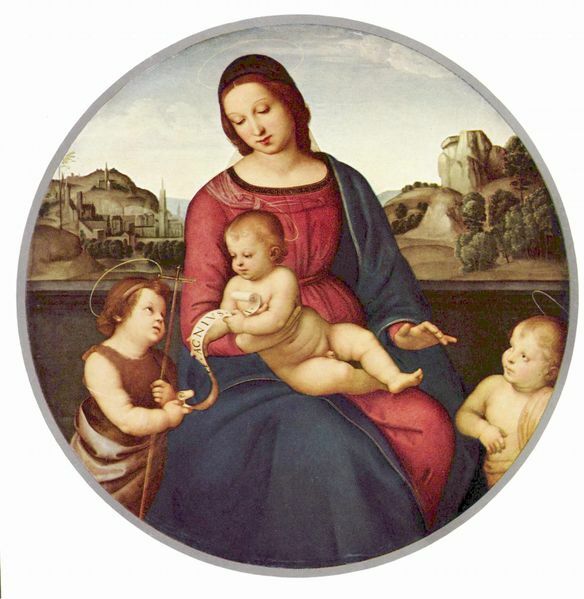 as a child toward its mother. Whatever you wish, he does for your sake. that he struck, thus frightening you. as he foretold that he would. that we find a just end. Source of Psalter stanzas: Stories of the Rose: The Making of the rosary in the Middle Ages by Anne Winston-Allen. Someone from Real Men Pray the Rosary requested the Rosary prayers in Samoan. 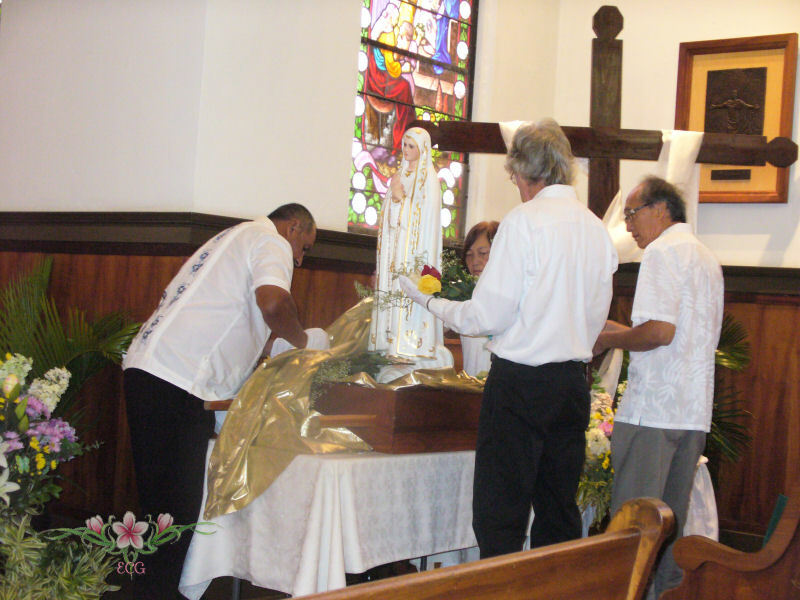 Well, that gave me the idea to post the Holy Rosary prayers in the beautiful Hawaiian language. Mahalo for the idea! BTW, the link provided below has some prayers in Samoan, etc. 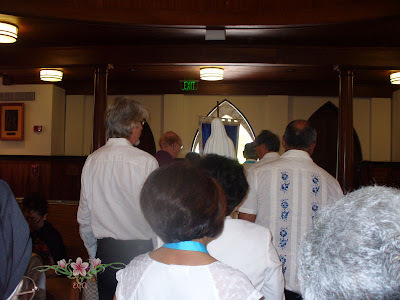 Unfortunately, neither the Fatima Prayer nor the Luminous Mysteries have been yet translated into Hawaiian. NOTE: I do not speak Hawaiian so I cannot vouch for the correct translation. 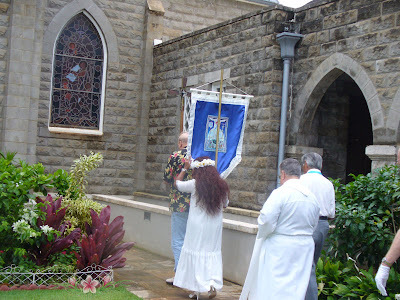 Ma ka Inoa o ka Makua, a o ke Keiki, a me ka 'Uhane Hemolele. 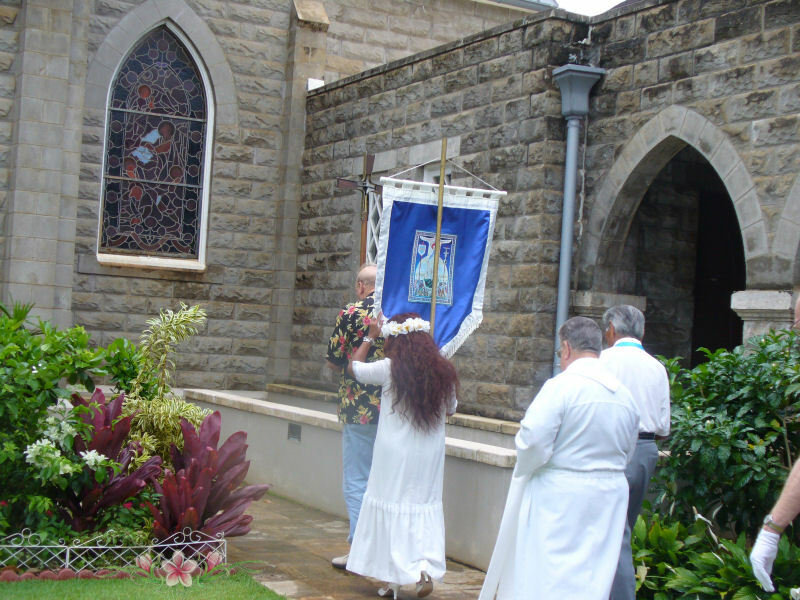 po‘e ola ame ka po’e make. 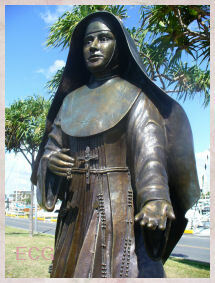 alahou ‘ana o ke kino, ame ke Ola mau loa. E like me ia i malamaia ma ka lani la. E haawi mai ia makou i keia la, i ai na makou no keia la. Me makou e kala nei i ka poe i lawehala i ka makou. 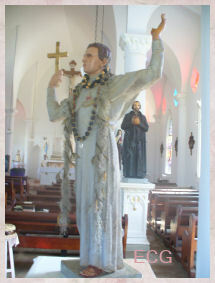 Iesu ka Hua o kou opu. a i ko makou manawa e make ai. Amene. E ho`onani`ia ai ka Makua, a me ke Keiki, a me ka Uhane Hemolele. a i nā kenekulia o nā kenekulia (`a i `ole: no nā kau a kau). `Āmene. `o mākou nā keiki a Eva. me ka uē a me ke kanikau `ana i loko o kēia owāwa o nā waimaka. e hāliu mai `oe iā mākou i kēlā mau maka aloha ou. 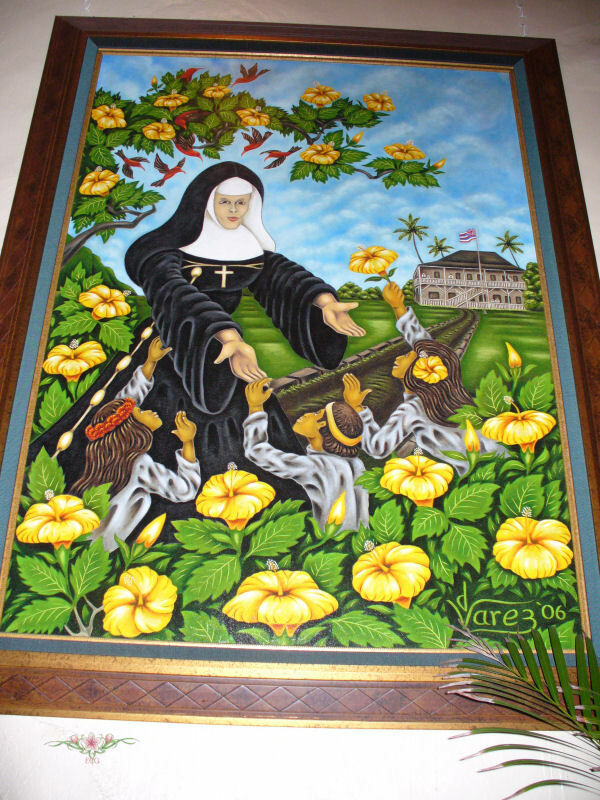 Pu`upa`a aloha, lokomaika`i a me ka `olu`olu. `Āmene. 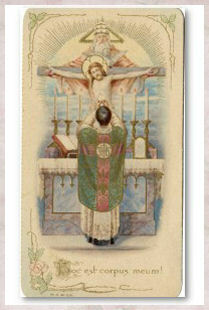 The following is from Holy Hour by The Rev. Fr. Mateo Crawley-Boevey, SS.,CC. Book Four. 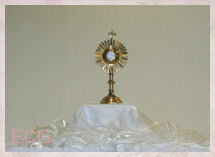 This is perfect for those families who have enthroned the Sacred Heart of Jesus in their homes. For those of you who still not have enthroned Him, consider doing that very soon. 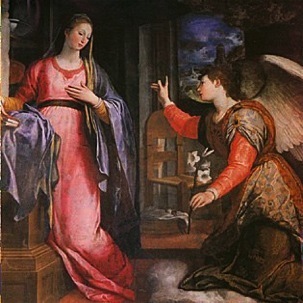 The Heart of Jesus wishes this scene to be a living reality in each of our homes...He knocks insistently on our doors. During this Holy Hour He wishes to enter as King...He asks to remain as Friend...He wishes to rule over our families with an intimate, profound, living reign...He asks our solemn promises; let us give it to Him loyally and sincerely. Jesus: Behold your meek King comes to you. He brings you peace and He offers you the divine friendship of His Heart. But you can not serve two masters at the same time; you cannot unite Jesus and the world in the one same love...Which will prevail in your family? Who will be the King of Love? 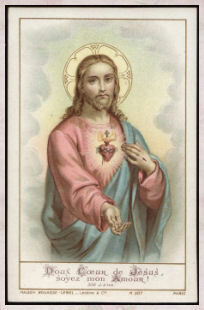 Souls: Heart of Jesus, Thou only shalt be our King! 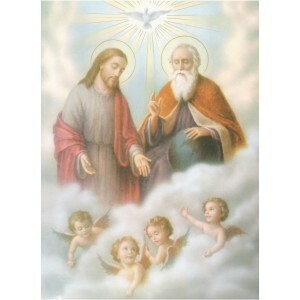 Jesus: And who is your choice as intimate friend? 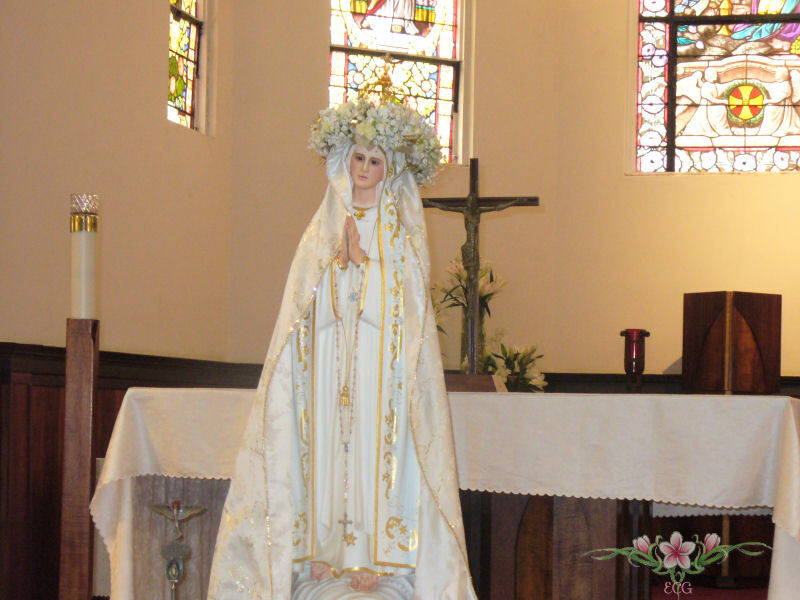 Souls: Thou alone, O Jesus, the Friend of Bethany! Jesus: From now on, may I enjoin My divine Law upon you, and reign as Master in your home? ...Will you hail Me as your King? 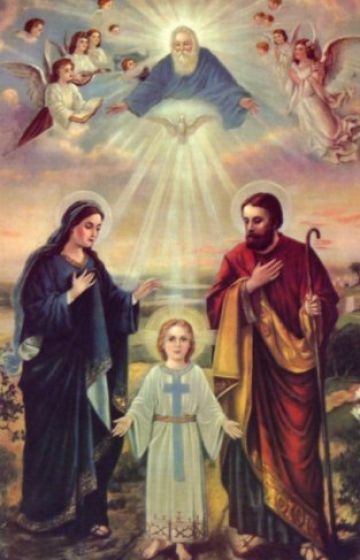 Jesus: And who will be the intimate friend in the secret sorrows of your family? 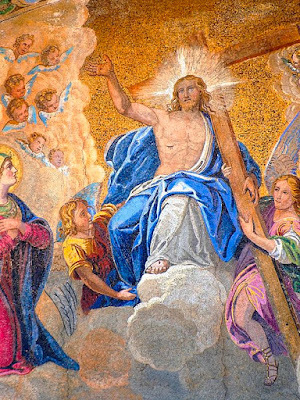 Jesus: Henceforward, then, your persons and goods belong to Me...I may do with them as I will...But whom do you admit has the right to dispose of all events, sad and joyful, happy and unhappy, in your lives? Who will decide the path your family is to follow? 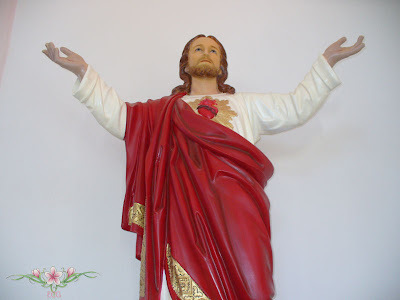 Jesus: When in My wisdom I impose struggles and sufferings on you, w ho will be your Confidant, your Consoler? 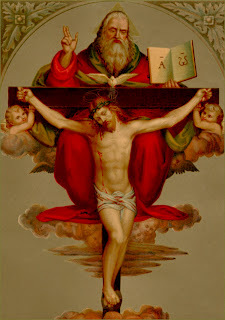 Jesus: If I command as King, My authority must reach over all the actions of your daily life.Will you accept that I deign with wisdom and love the ordinary routine of every day? 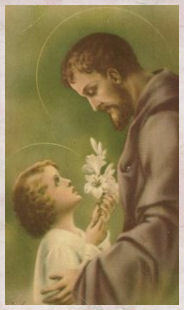 Jesus: But I wish so much to have you always give Me My part and...the best part, even int the smallest details of your family life. In the monotony of the daily task, who will always be your great friend? 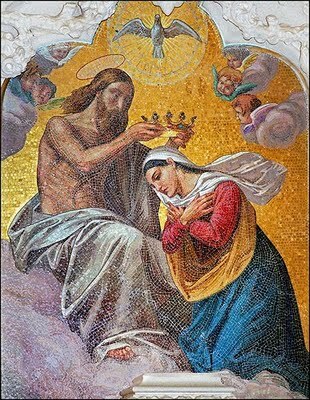 Souls: Heart of Jesus,Thou only shalt be our King! Jesus: And at the hour of forced departures and painful separations, in the hour when death on the wings of illness or from an unforeseen misfortune draws near you...Who will be at that supreme moment the intimate, inseparable, the first and last Friend of your home? 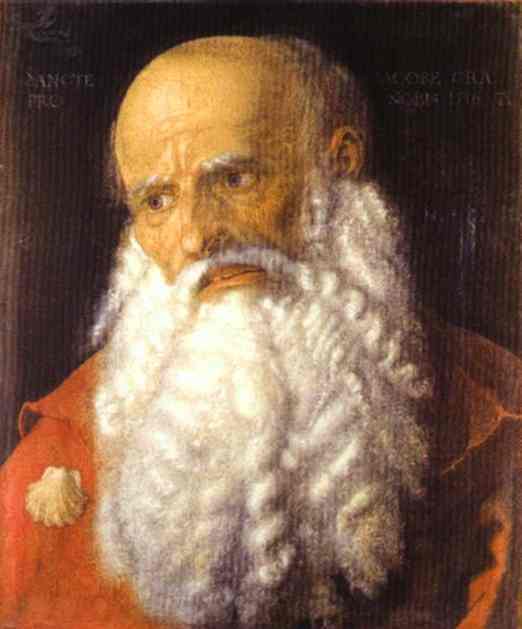 Did you know that a few of our saints suffered from scruples? 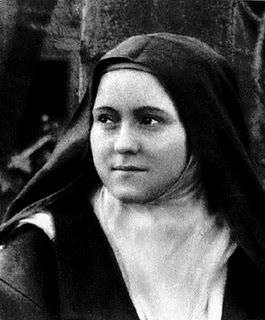 One was St. Alphonsus Liguori, founder of the Redemptorists and the other was St. Therese of Lisieux. Not too long ago I became concerned that I may have a tendency for being too scrupulous. The conflict arose because the books I read during my spiritual reading (e.g. 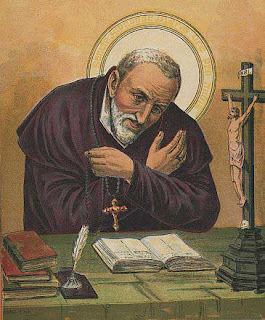 books by St. Francis de Sales, ) strongly suggest regular weekly confessions. The saintly authors warns the reader to be careful not to offend God in even the slightest ways. 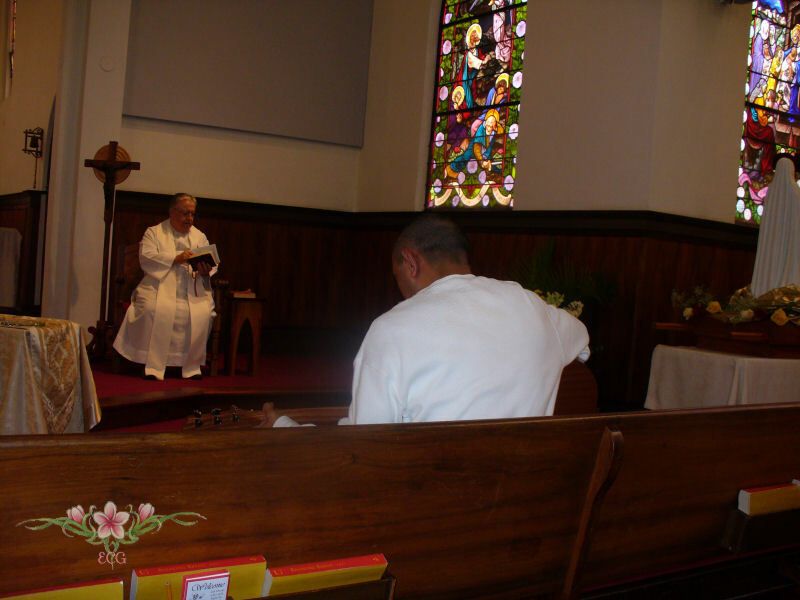 Even venial sins are encouraged to be confessed because if we are not vigilant, they can lead to more serious sins. We know that it is the mortal sins that must be confessed as soon as possible. The venial sins are forgiven at Mass. Yet, some of our dear priests feel going to confession regularly is not necessary and in fact, may be a sign of scrupulosity. That is why a spiritual director or regular confessor is important...even vital to our spiritual growth. I went online to see if I could find answers to a particular concern. I did find a few articles which I found very helpful and insightful. I am sharing them here just in case anyone could benefit from them. ...Such people are convinced that because of the presence of evil in their life, God must be displeased with them. 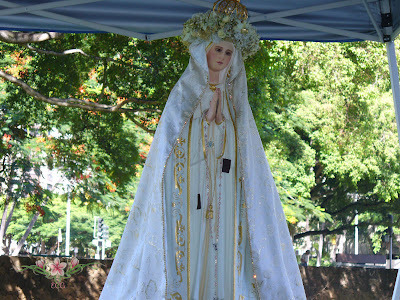 As a result, any sin — any manifestation of weakness or imperfection, often the most minute and insignificant — becomes their primary preoccupation, and an intimate relationship with the Lord is impossible. 3. 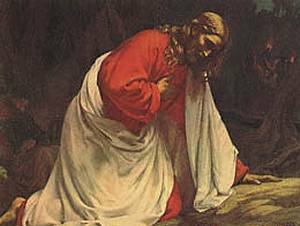 Catholic Spiritual Direction: What if I Have Nothing to Confess, Should I still go to Confession? 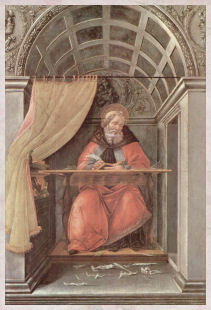 ...The sacramental grace of confession is primarily the forgiveness of sins, but it is also, secondarily, the spiritual strengthening of the soul. 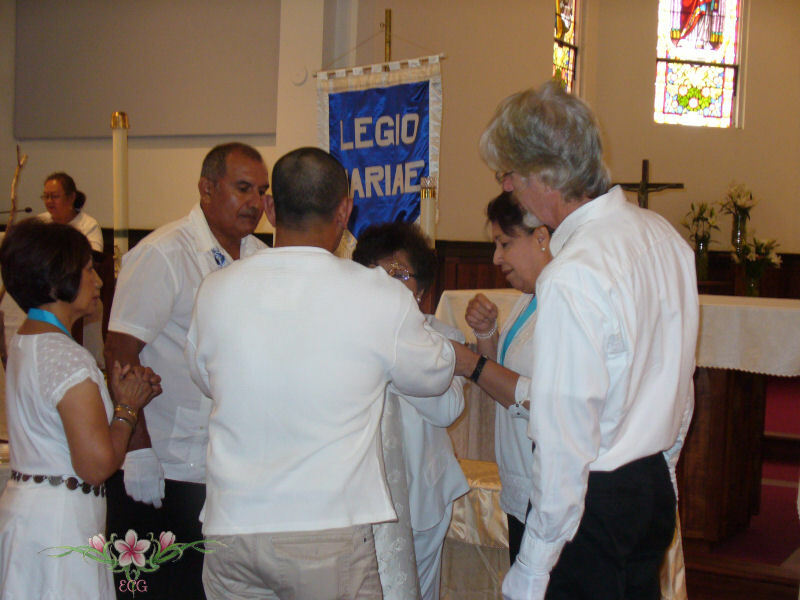 This is why it is called a sacrament of healing. It heals (reconciles) our relationships with God and with the Church, which have been wounded or broken by personal sin, and at the same time strengthens those relationships. When we break a bone, the body will repair it with an extra dose of calcium, so that the bone is actually stronger at the break point after the healing than it was before the injury. Something similar happens with confession. 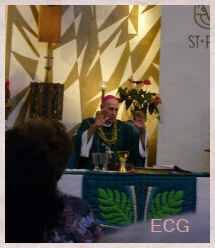 God pours out his strengthening grace in a special way on the aspects of our spiritual organism, so to speak, that we present to him in confession. Now you can understand why the devil works so hard to keep us away from frequent, regular confession. If our relationship with God has been ruptured (by mortal sin), he doesn’t want it reconciled. But even if it has just been wounded (venial sin), he doesn’t want it strengthened. - Is it a sin to have bad thoughts? How do I deal with bad thoughts? How can I be sure to avoid the unforgivable sin? "Our Lady of Humility" is one of the gracious titles of our Blessed Mother. She passed through this life unnoticed despite her vocation as the Mother of God and her virtues. Few indeed are the words which have been recorded as spoken by her, but they will live forever and be of profit to those who meditate upon them. 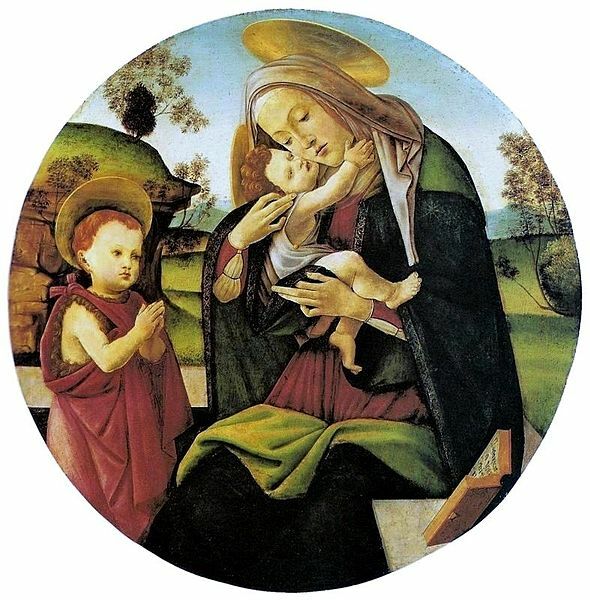 Mary lived humility in the fullest sense of the world; she was ever aware of her dependence upon God and of His goodness to her. All that she had, she ever referred back to Him, the source of all good. Mary is the living example of one who responded to the invitation of our blessed Lord, "Learn of me for I am meek and humble of heart." (Mt. 11:29). 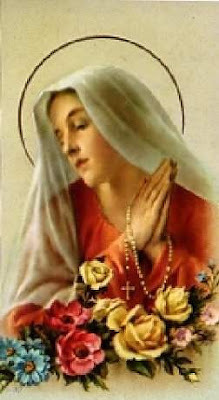 May we during this month of May be blessed by en ever increasing knowledge of Mary and especially of her humility. 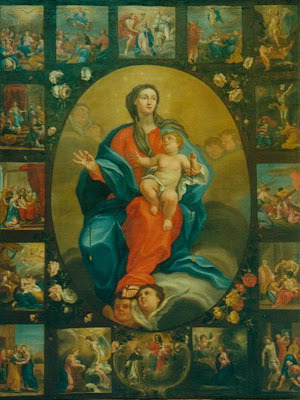 May the Memorare recited each day for vacations stir in the hearts of our young people the desire to give themselves wholeheartedly to God. Mary Queen and Mother: Marian Pastoral Reflections by John J. Cardinal Carberry. 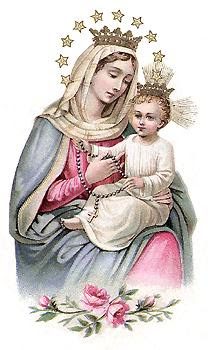 Readers: Please join me during this month dedicated to our Lady in praying the Memorare daily for vocations as recommended by Cardinal Carberry above. 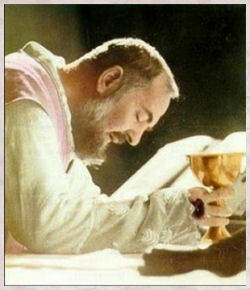 Woe to Those Who Do Not Respect Priests! This is really good!! 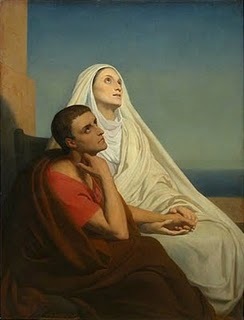 New Theological Movement's The Death of St. Monica and Filial Love of St. Augustine. The following was shared with me by my friend Menna. Mahalo Menna! Unfortunately, I cannot read it. If someone can translate the words into English, it would be most appreciated. We fly to your patronage, O Holy Mother of God; despise not these our petitions in our necessities, but deliver us always from all danger, O glorious and blessed Virgin. My most holy Mother, I behold the graces that you have already obtained for me, and the ingratitude that I have shown toward you. 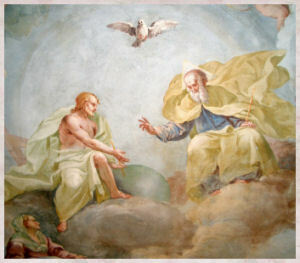 The thankless soul is no longer worthy of blessings, but not even on this account will I lose confidence in your mercy. O my mighty advocate have pity on me and obtain, I beseech you, this favor for me if it be for the glory of your Divine Son and the good of my soul. 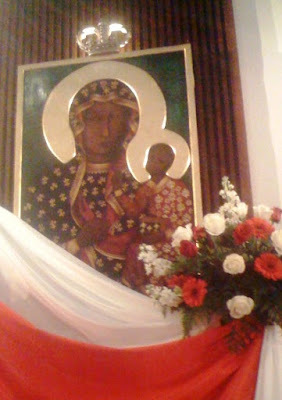 Speak for me, Queen of Jasna Gora. Your Son will do whatsoever you shall ask of Him. I beg you, take me under your protection and this is enough for me, to be one of your ever faithful servants. Amen. Thank you Mary Jane D.! ...If anyone thinks he is religious and does not bridle his tongue but deceives his heart, his religion is vain. 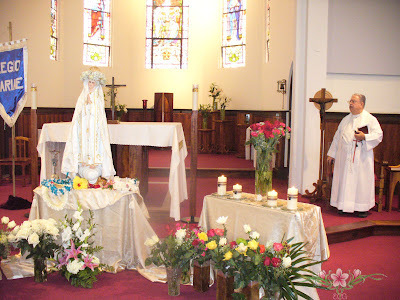 Religion that is pure and undefiled before God and the Father is this: to care for orphans and widows in their affliction and to keep oneself unstained by the world. ...Humble yourselves before the Lord and he will exalt you. ...Instead you should say, "If the Lord wills it, we shall live to do this or that..."
...But above all, my brothers, do not swear, either by heaven or by earth or with any other oath, but let your "Yes" mean "Yes" and your "No" mean "No," that you may not incur condemnation. You now reign with God forever. Your Heart was pierced with a sword. You are now consoled forever and are a consolation to us. Blest are you, O Heavenly Mother Mary. And now you inherit heaven and earth and all creation. your Son to do the will of the Father. 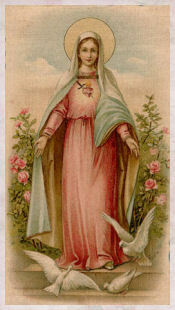 You now intercede for our holiness. 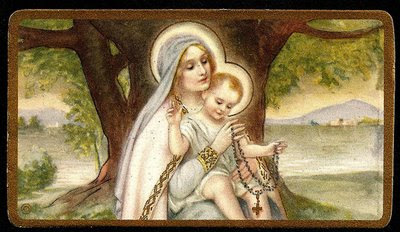 Blest are you, Mother of Mercy. 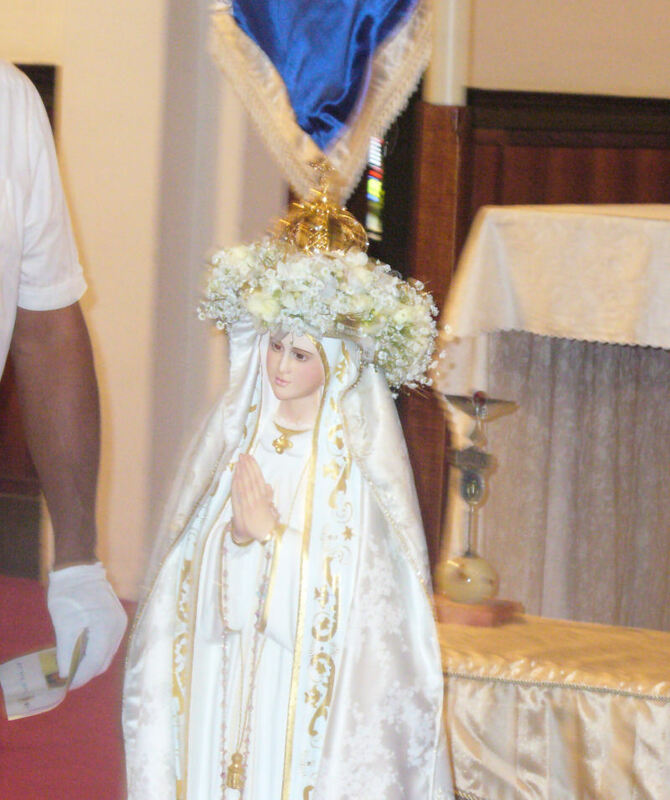 You received the highest mercy in being conceived Immaculate. You now obtain for us Mercy from the Heart of your Son. Who upon earth were single-hearted in believing and loving. 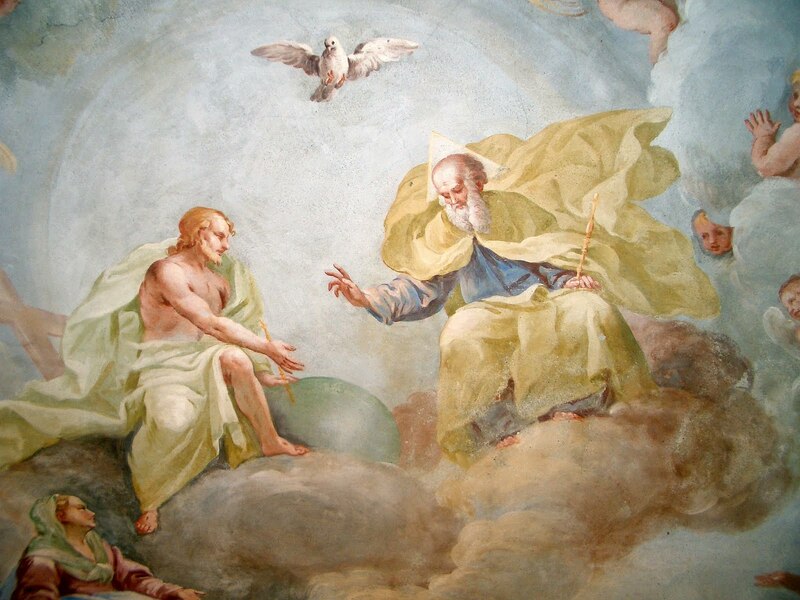 You now see god face to face and intercede to lead us to the same beatific vision. 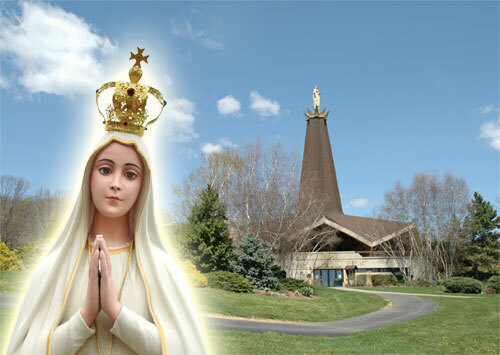 Blest are you, Mother and Queen of Peace. And care for your sons and daughters still upon earth. What was done to Jesus was done to you, and men still treat you this way. The reign of God is yours. - Prayerbook for Catholics by Father Robert J. Fox. 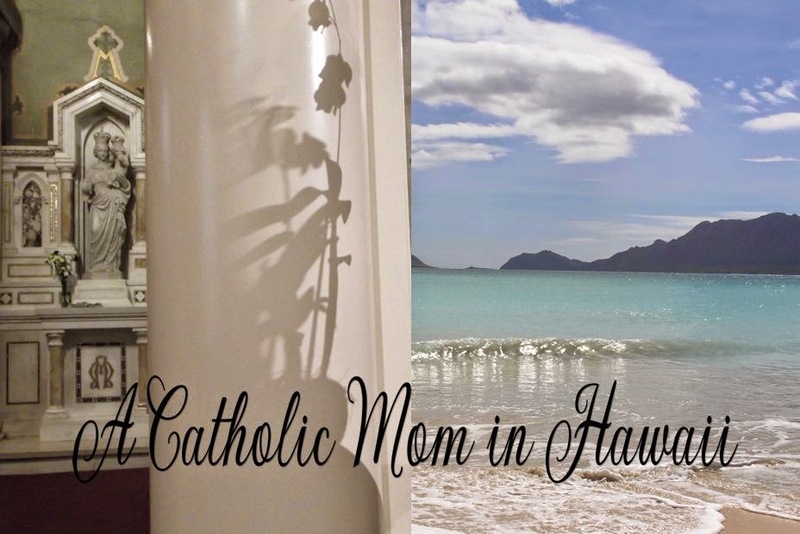 Mahalo to Lisa Graas for sharing this rare video. 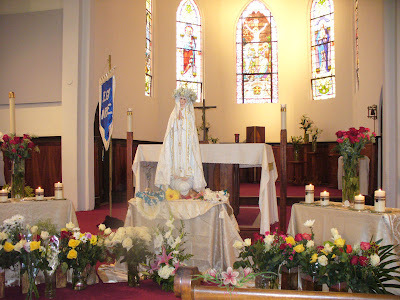 BTW, there will be a May Crowning this Saturday (the day before Mother's day) at Sacred Heart Church. It begins at 10:00am. There will be a procession, the faithful will honor our lady with flowers, we will crown our lady and then we will pray the Rosary. This is one of the beautiful songs that is sung. 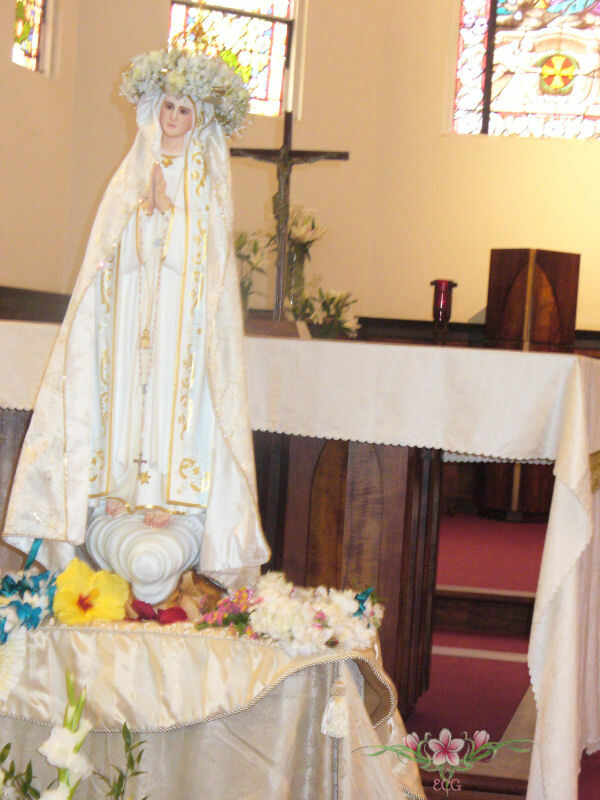 Please feel free to bring flowers or leis for our dear blessed Mother. Shared by Mary Jane D. 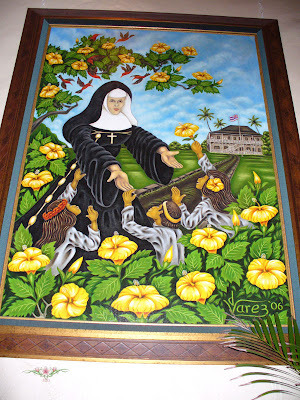 ...The Sisters of St. Francis are giving the relic to the diocese at the request of Bishop Larry Silva. 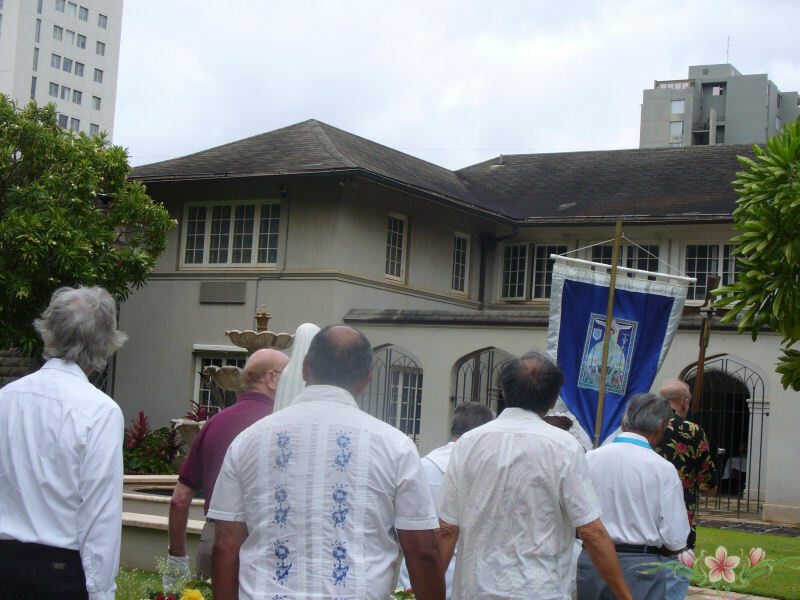 The Hawaii Catholic Herald article can be read in its entirety here. 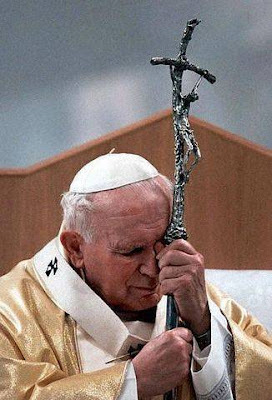 We thank You for having graced the Church with Pope John Paul II and for allowing the tenderness of your Fatherly care, the glory of the cross of Christ, and the splendor of the Holy Spirit, to shine through him. Trusting fully in Your infinite mercy and in the maternal intercession of Mary, he has given us a living image of Jesus the Good Shepherd and has shown us that holiness is the necessary measure of ordinary Christian life and is the way of achieving eternal communion with you. 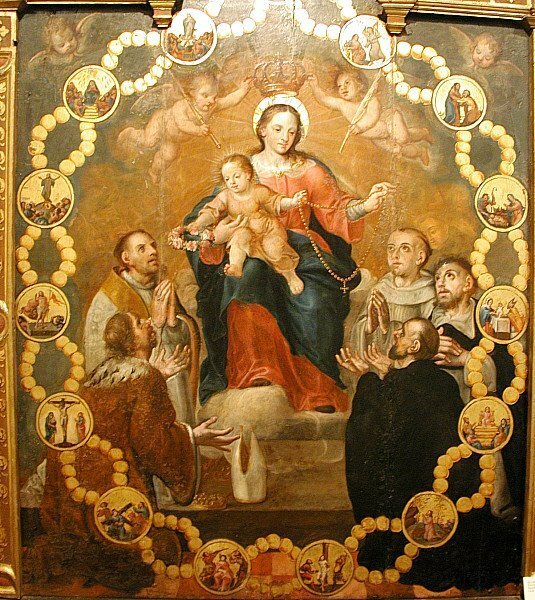 Grant us, by his intercession, and according to Your will, the graces we implore, hoping that he will soon be numbered among your saints. Thanks to Ed for sharing. John Paul II has been a hero of mine for years. In fact, in case you didn't notice, I was named after him! 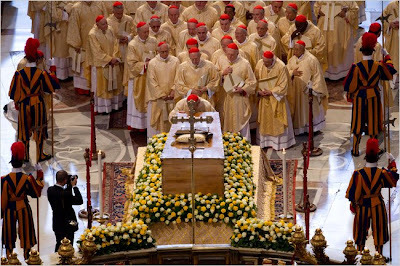 Do you remember when JPII died? There were chants in St. Peter's square. Do you remember what they said? The faithful were calling for the Church to make John Paul the Great a Canonized Saint. Well, the Church is very careful about these things, but today marks a huge step forward. 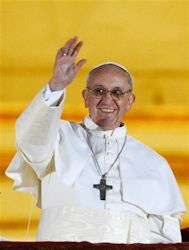 Will you please join me today in giving thanks for such a great Pope? 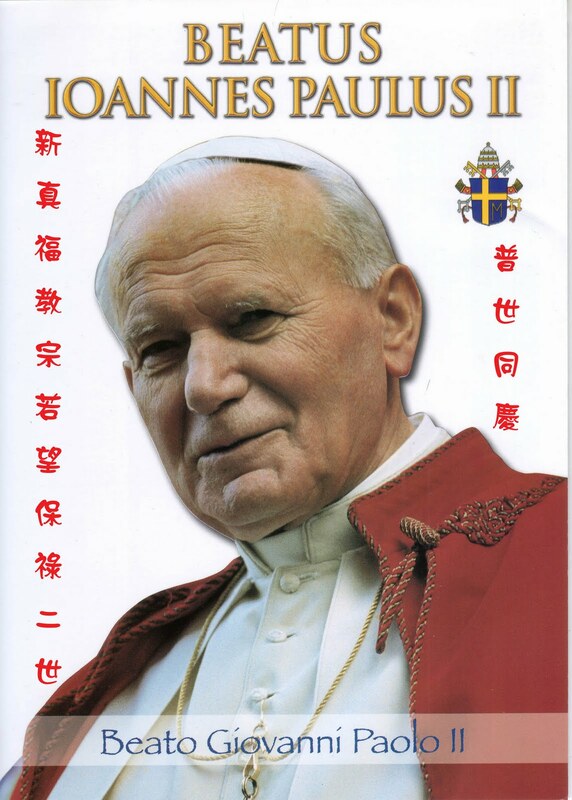 I've set up a tribute page to JPII, but this is a different kind of tribute. I want you to make the tribute. I want you to post your comments. I want you to reminisce about JPII. 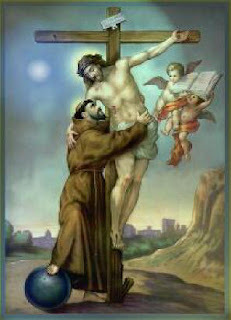 I want you to show your love for our Holy Father in heaven. Click here to pay your respects in the comment box! Please join me in thanking God for the beatification of John Paul the Great right here, right now! P.S. 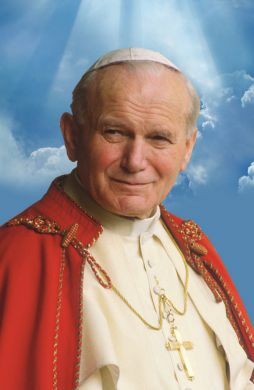 I really want to hear your perspective on John Paul II. Say a prayer for the Pope and then pay your respects to JPII here.